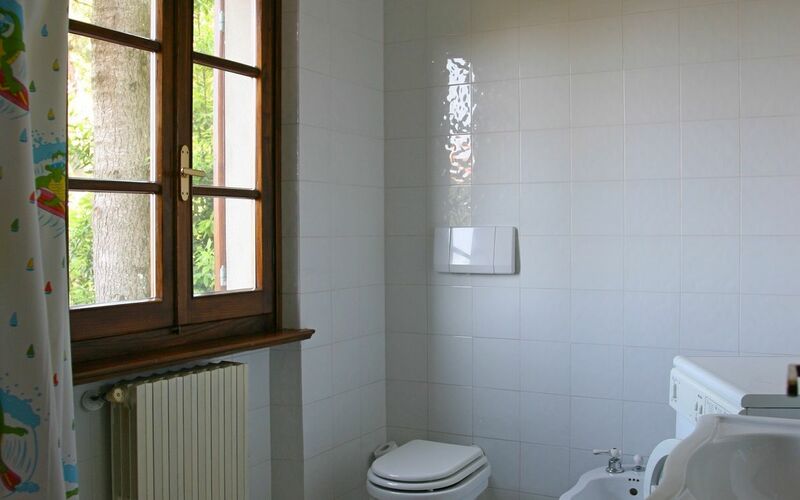 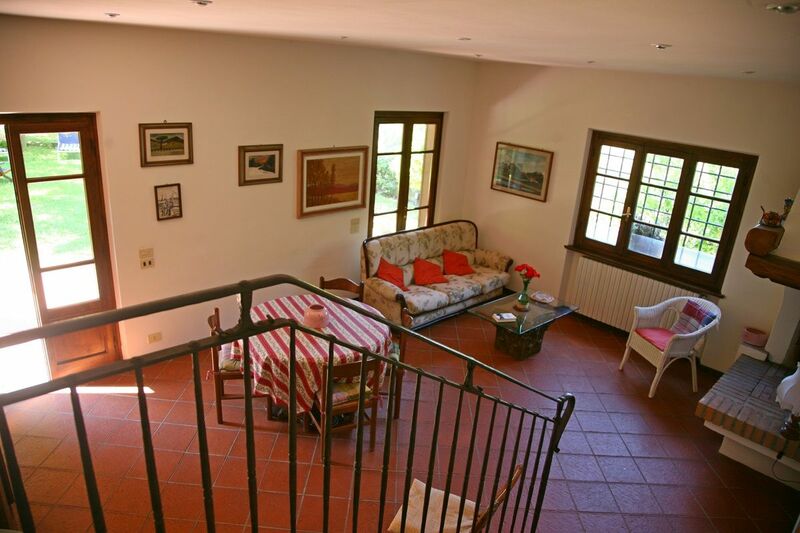 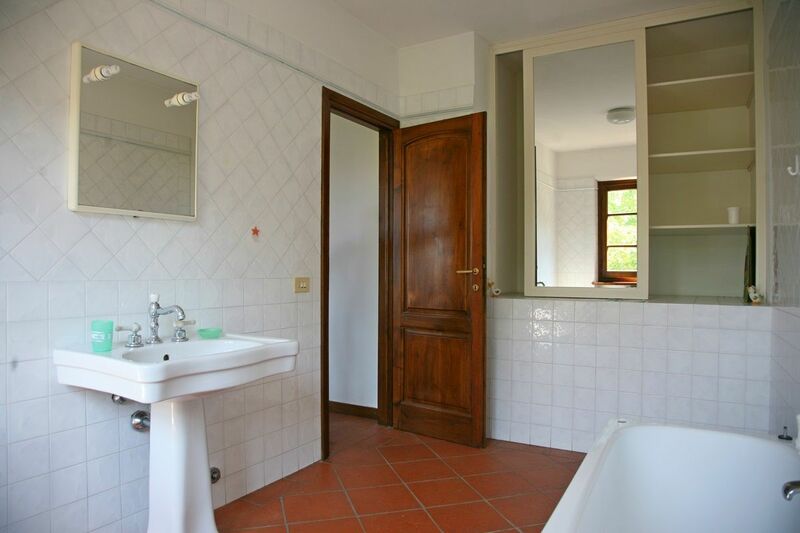 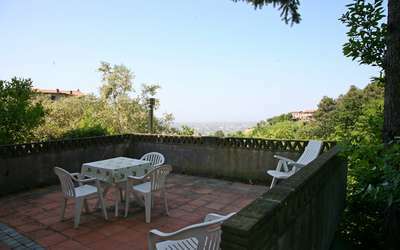 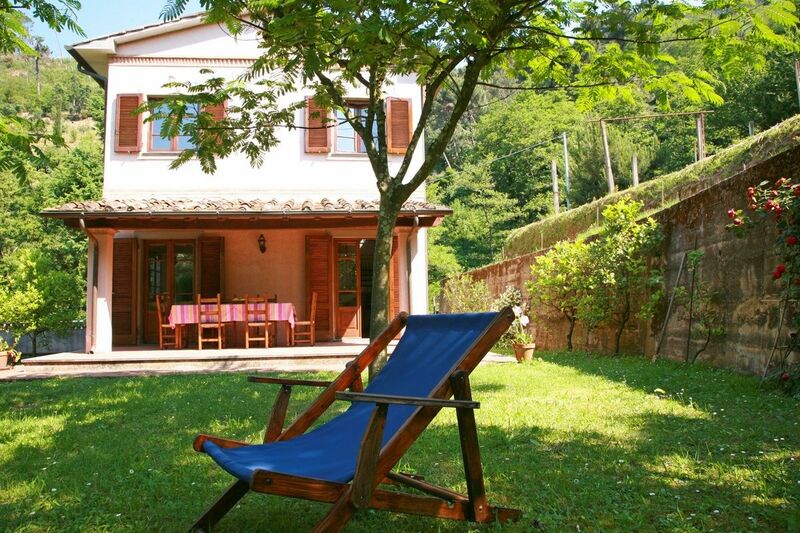 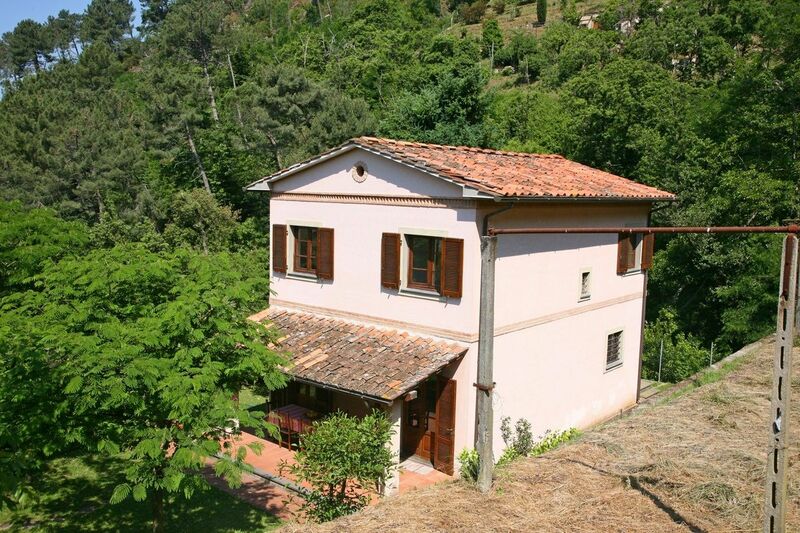 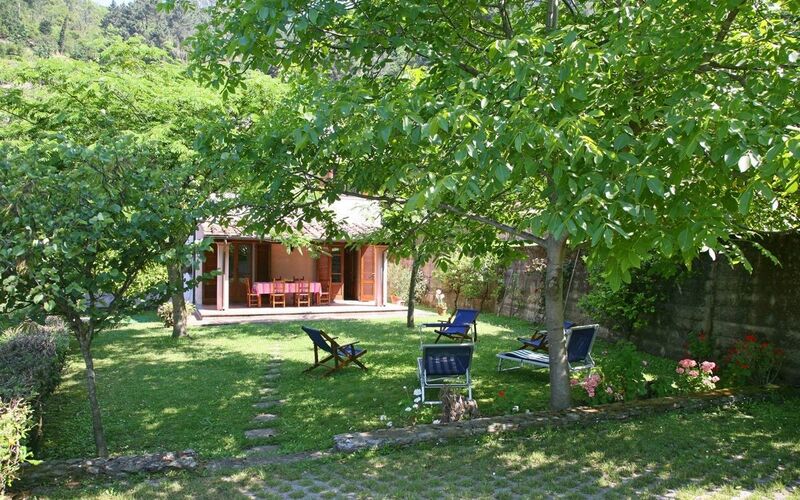 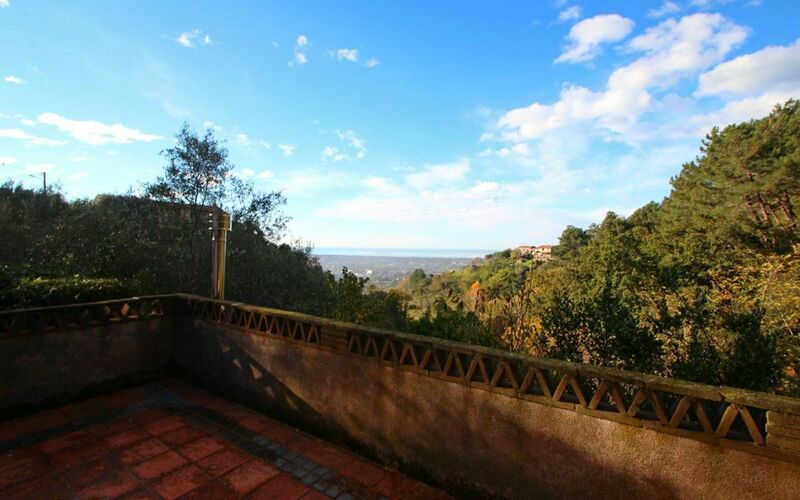 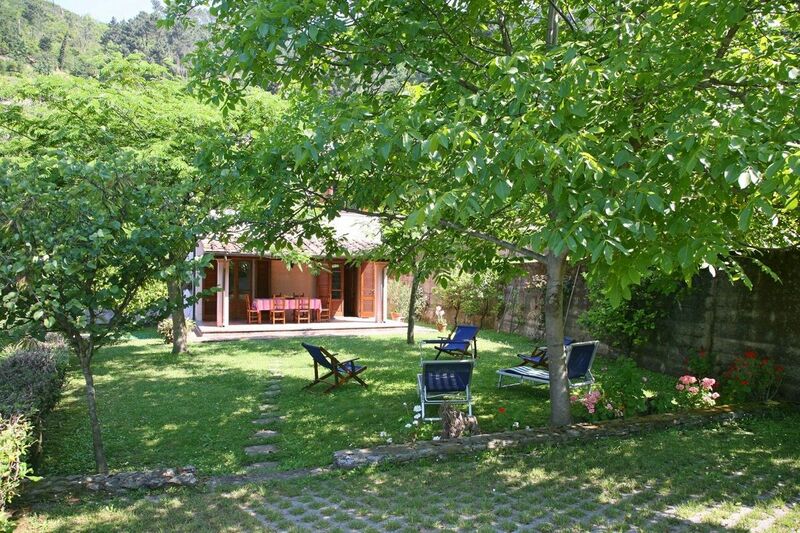 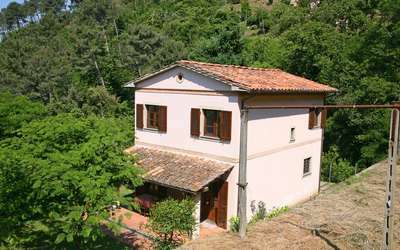 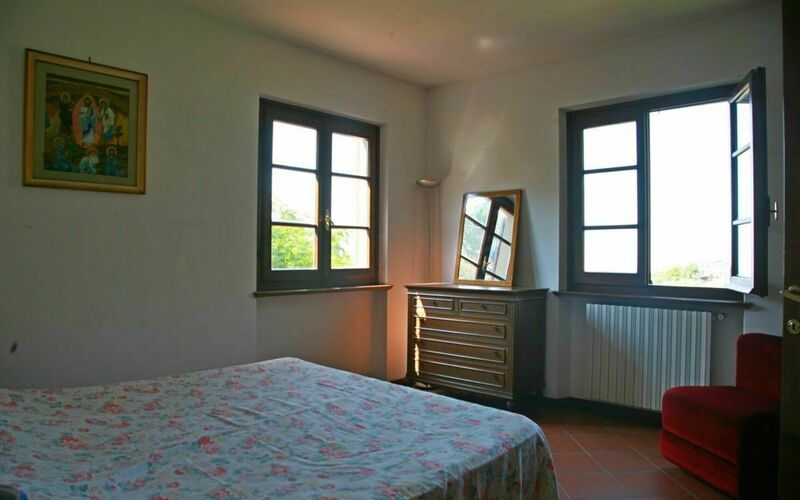 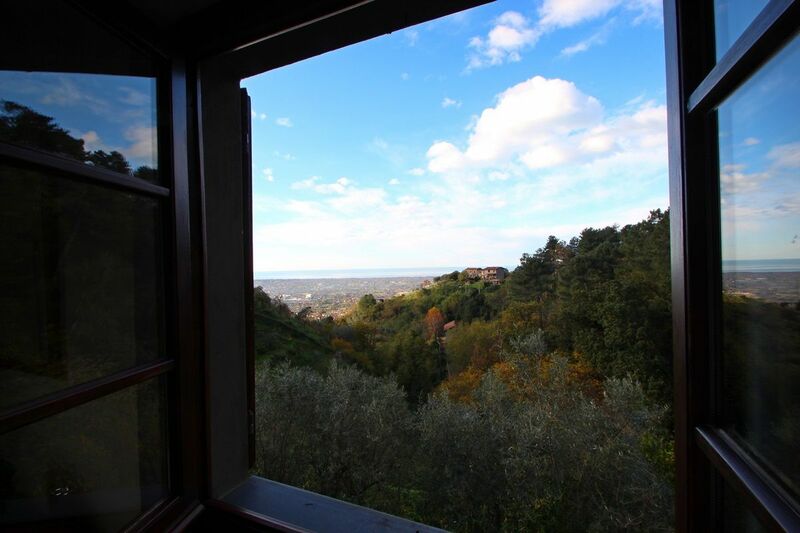 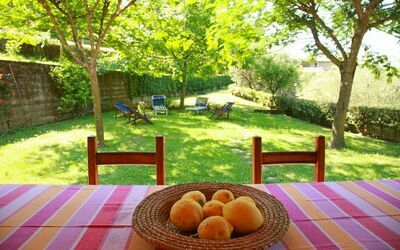 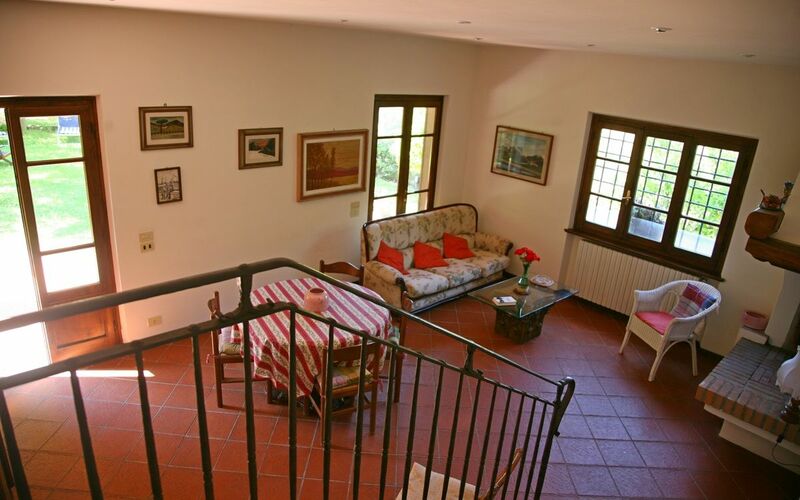 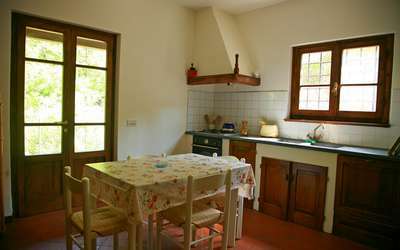 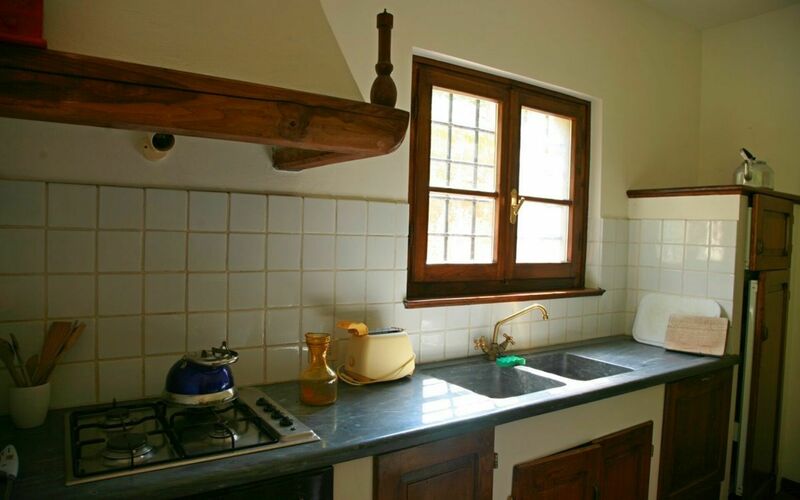 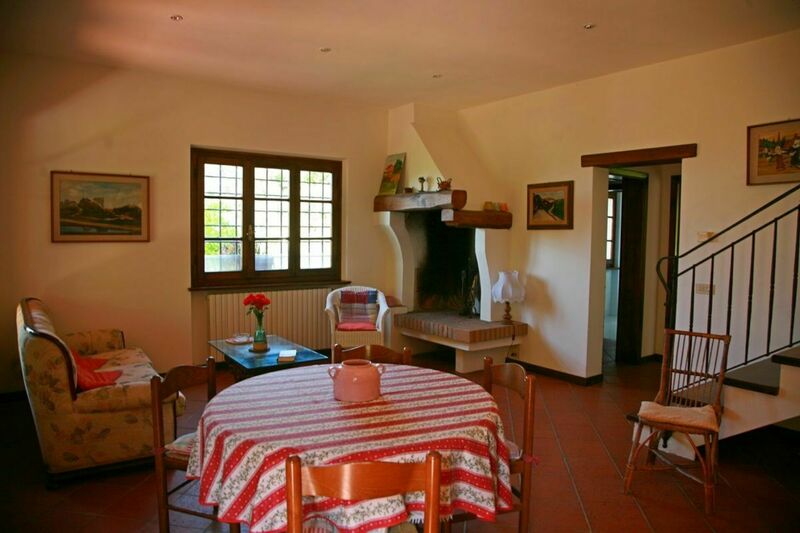 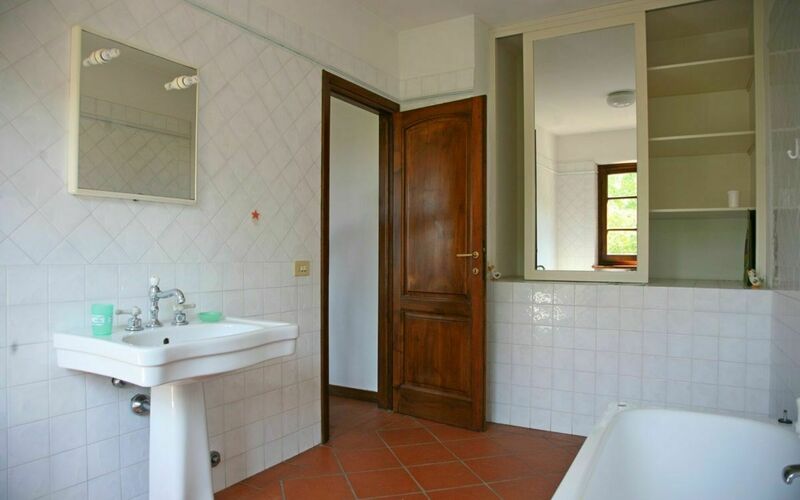 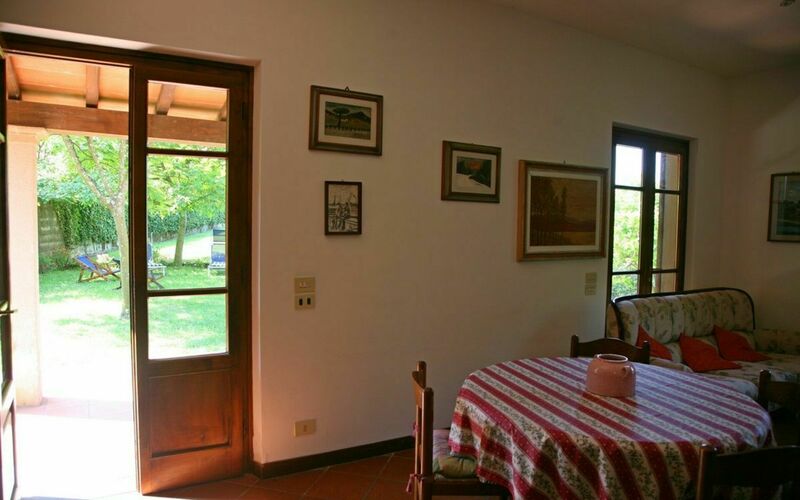 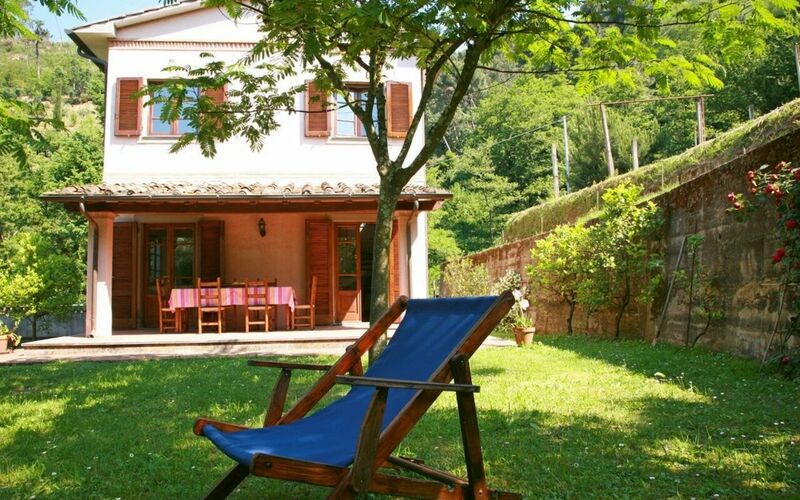 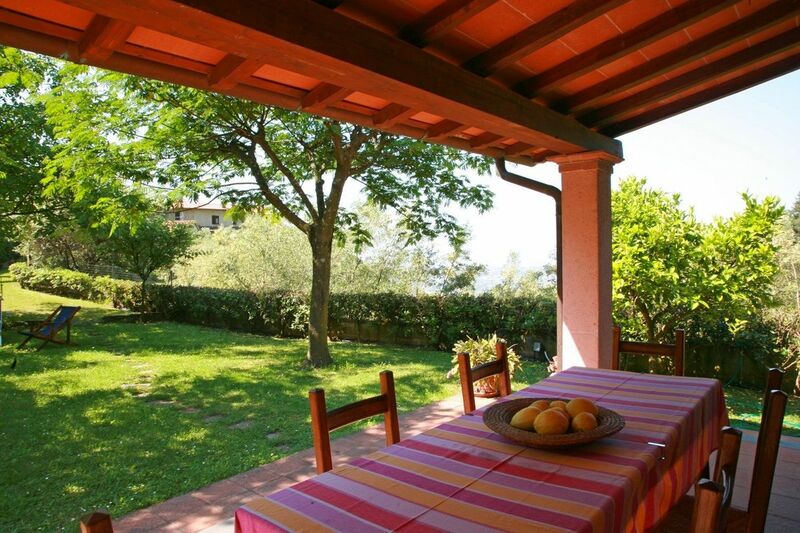 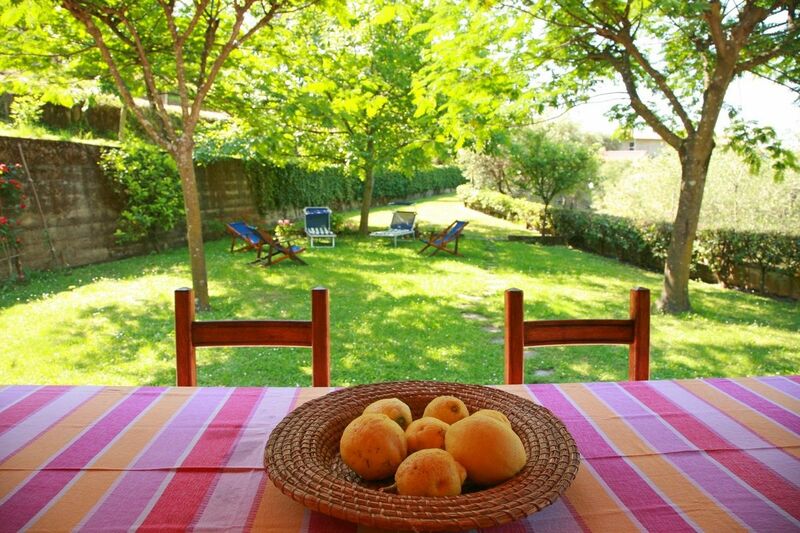 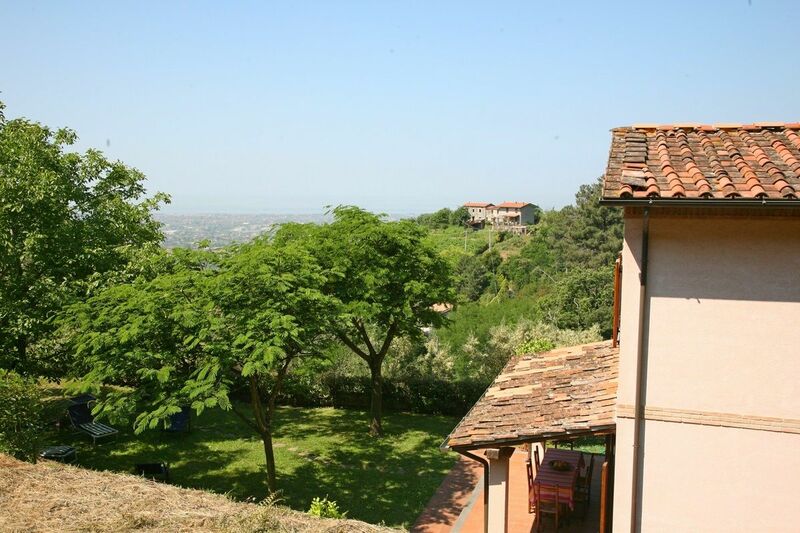 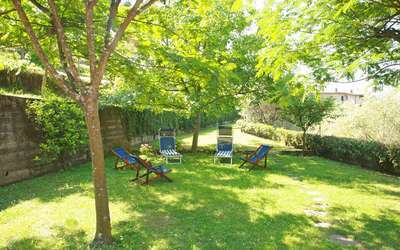 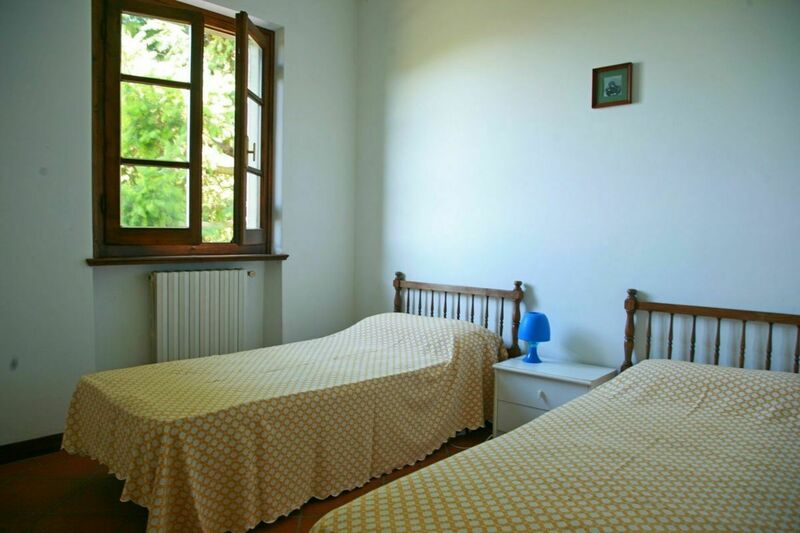 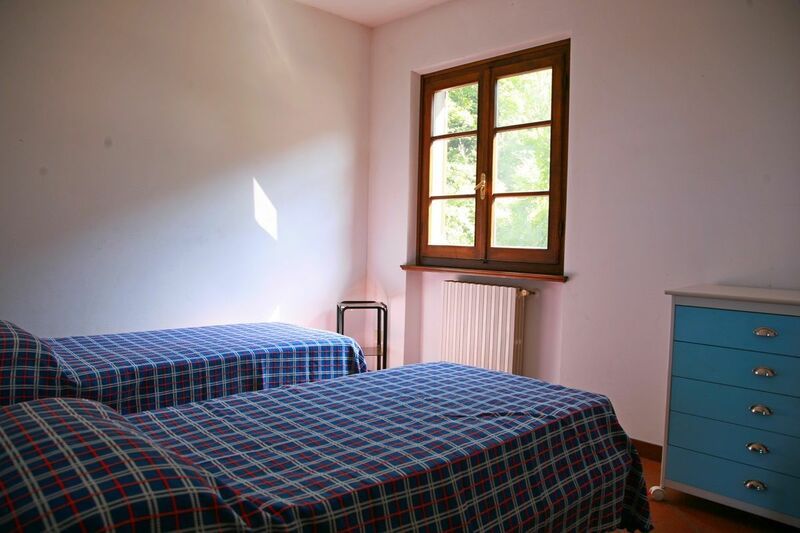 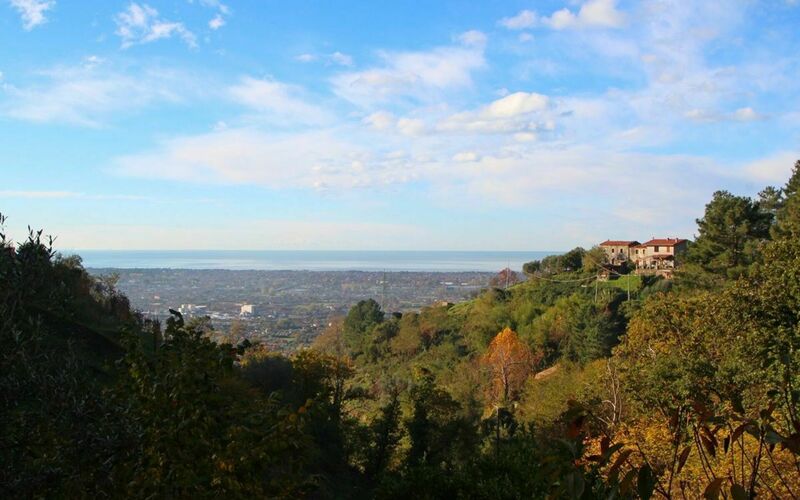 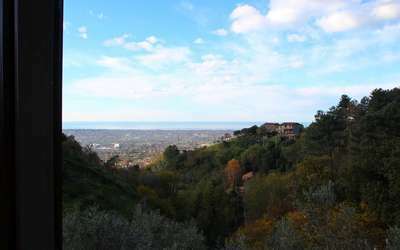 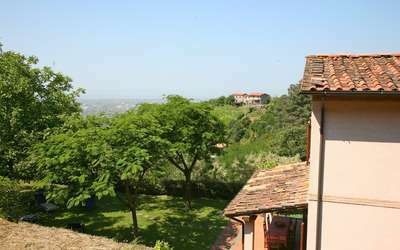 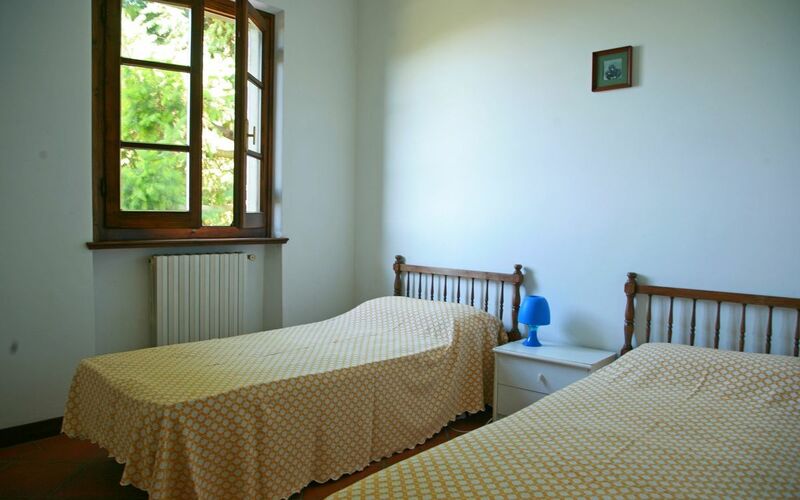 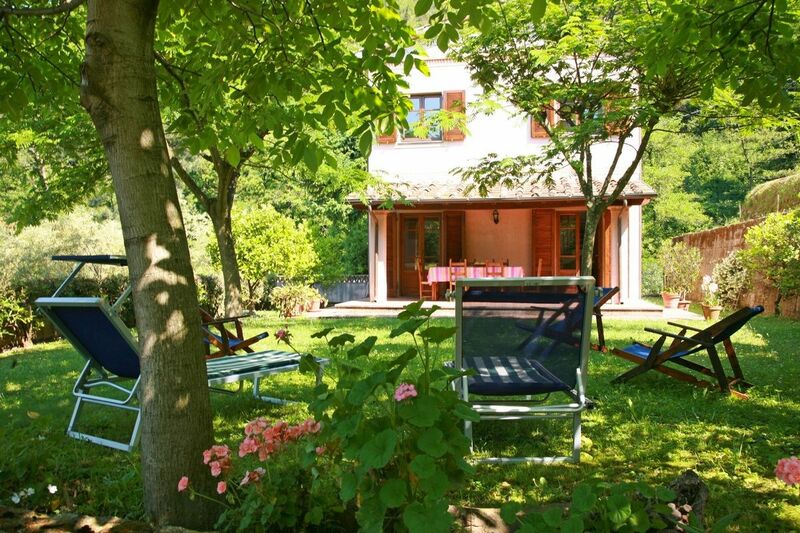 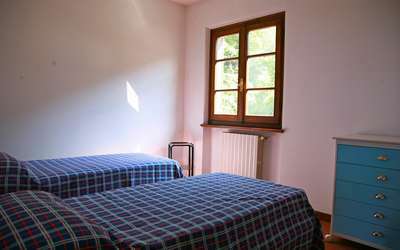 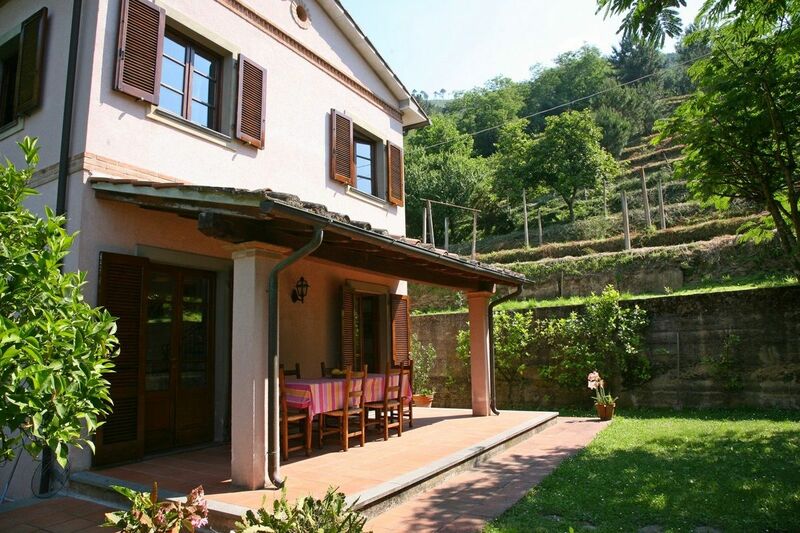 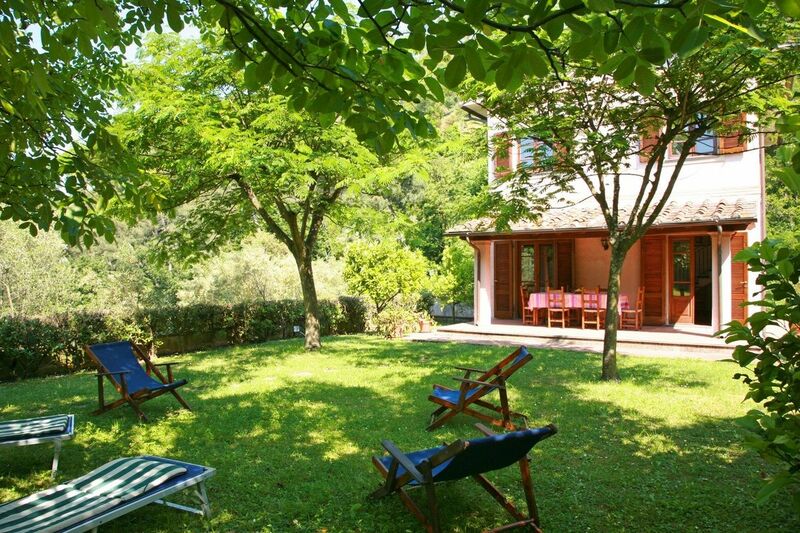 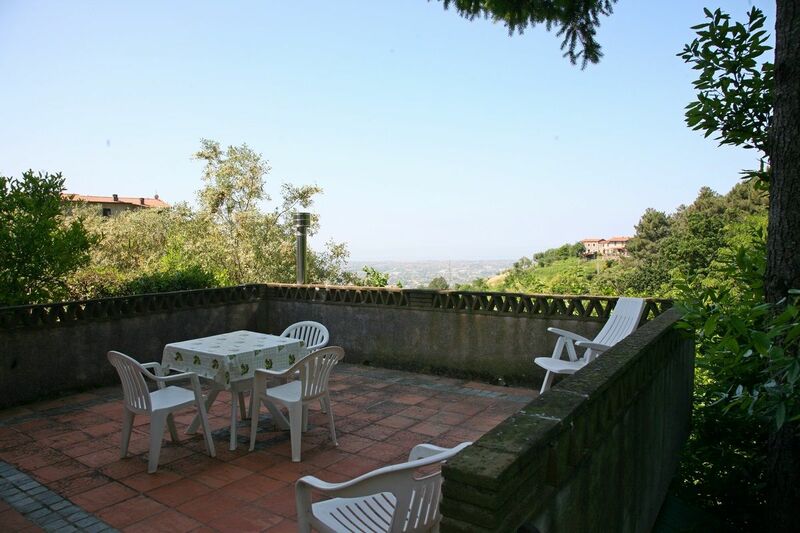 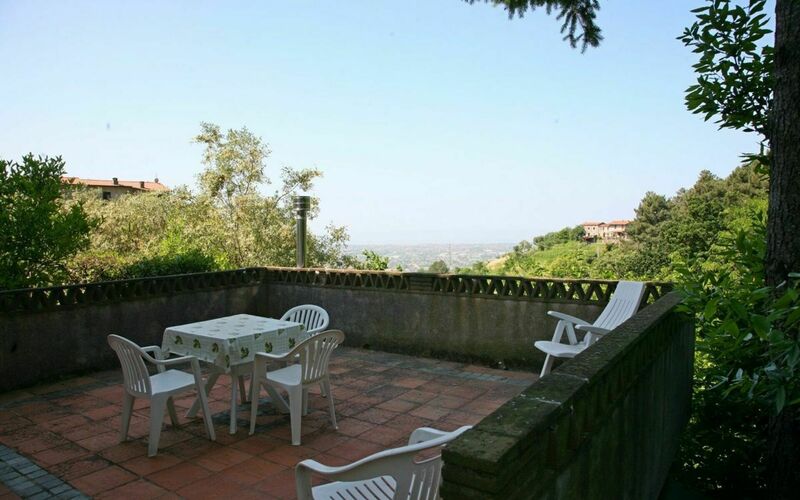 Holiday home for up to 6 people above Pietrasanta with Sea View. The Tuscan artist town of Pietrasanta is located next to Forte dei Marmi in Versilia (Tuscany). The house is surrounded by greenery and has a beautiful sea view. 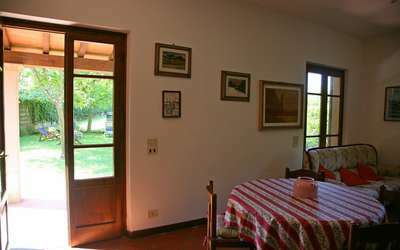 After the entrance gate a road leads to the house where you can park up to 3 cars. 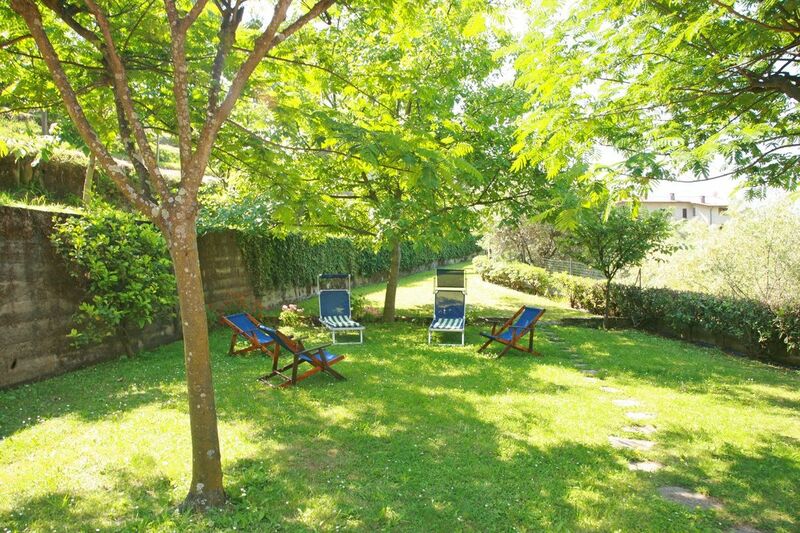 The garden has about 700sqm. 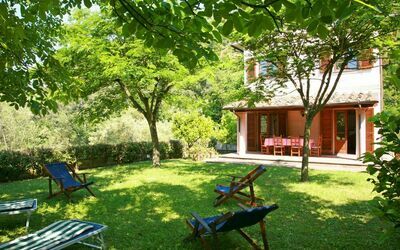 On the front is a lovely veranda and you can relax in the shade of the trees. 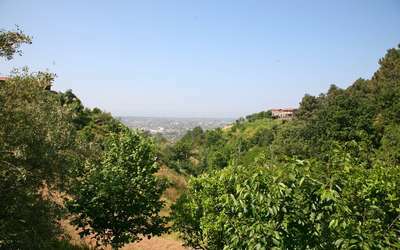 The sea is about 6km away and reachable in about 10 to 15 minutes. 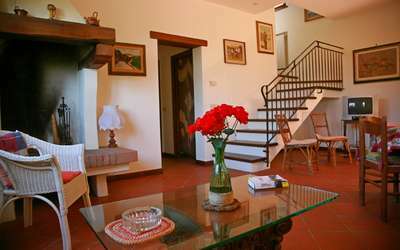 Ground Floor: large living room with fireplace, sofa, dining table and stairs going up to the first floor. Kitchen with dishwasher, cooking fire, fridge / freezer, extractor hood, toaster, breakfast table and door to the back garden. 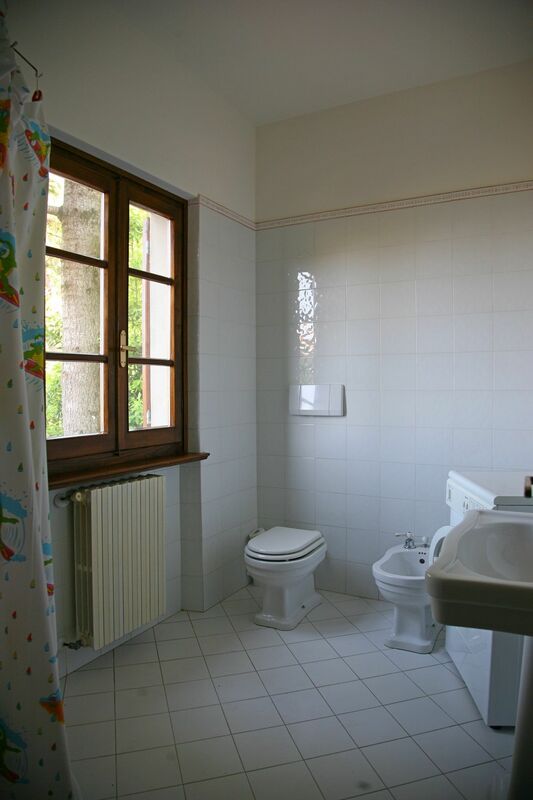 First floor: double room with sea view and bathroom / shower. Two bedrooms with two single beds and a bathroom with shower. 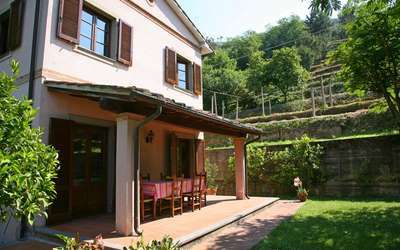 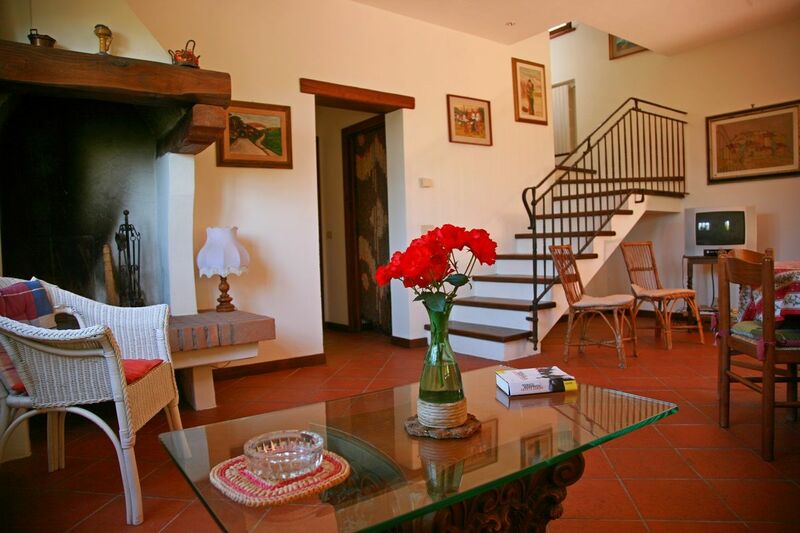 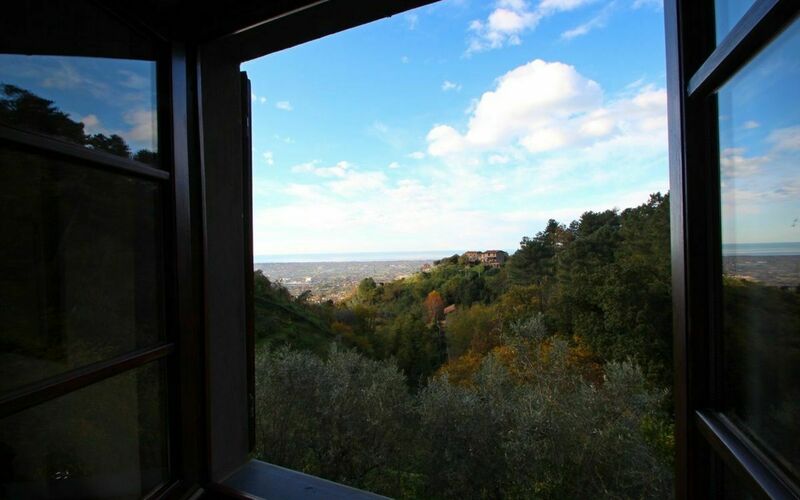 The house is furnished in a rustic and traditional Tuscan style. 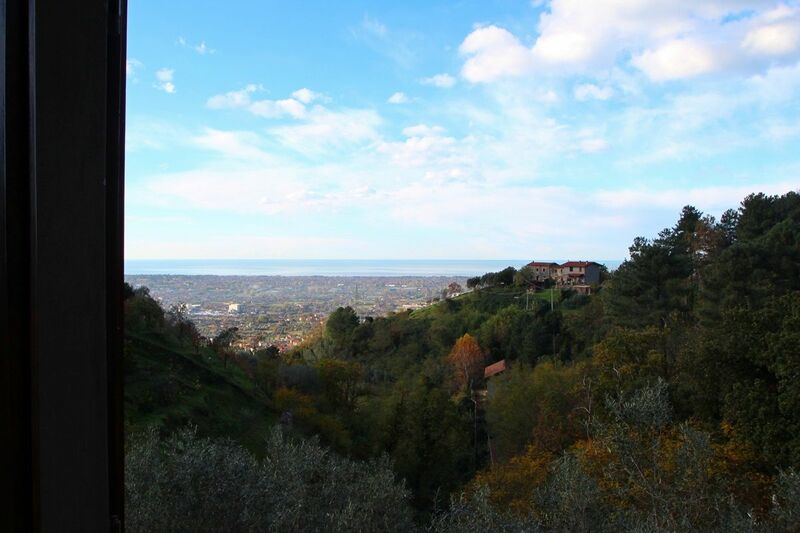 The Road to the House is a bit steep and not suited for sport cars or too large ones.